Repair the corrupted backup and restore any type of data including the documents , images , music files etc. Once the scan is complete , the scan will be auto saved. Soo , next time to process same file you can simply load the scanned file to save time. The software can be used to repair the BKF files generated using the Symantec Exec apart from the Windows NTBackup. you can repair a corrupt Backup File with the software and then recover complete data present in the file without losing anything. You can select the desired files and folders that you want to keep. The selected items will bew extracted completely. Using the Range Based Scan option , you can scan a selective portion of your backup file. Have you recently installed Windows 7 from Windows XP? Do you have BKF files in Windows XP? 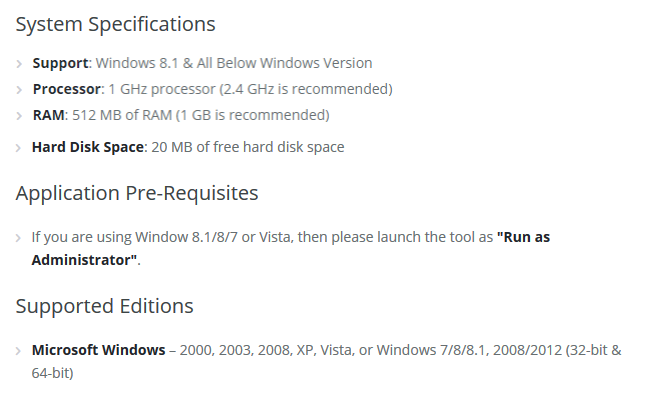 SITUATION: Suppose you have upgraded your Windows Operating System with Win 7 but later on realized that there is no option to restore Windows XP data in Win 7. You badly need that data because your original files in Windows XP have lost due to severe corruption due to system crash. PROBLEM: In Windows 7 and later Windows versions there is no NTBackup utility provided instead ‘Windows Backup and Restore Center’ provided with provision of VHD or Virtual Hard Disk is provided. In these versions, backup data is supported to storage media like image-based full system backup, DVD’s etc. In order to restore Windows XP backup in Win 7, you can use Win 7 BKF Recovery utility, which you can download from the website then it is possible for you to restore Windows XP BKF File to Windows 7. BKF File Recovery software helps you to completely recover damaged BKF files which user can later use in upgraded version. The easy functionalities and interactive user-interface helps in complete BKF file recovery process. Install NTBackup utility in Win 7 then restore backup data from Win XP to Win 7. However, if you find that data stored in .bkf files is damaged then our software completely helps you in recovering lost and inaccessible backup data. Easily open and read Windows XP backup data into newly installed Win 7. Conveniently use Windows XP BKF files into Win 7. Can i save some amount of data using the demo version of the software? With the demo version of the tool , you can't extract/save data from BKF file, It allows only to preview the files/folders contained in BKF files after scanning. Can i restore data from the Symantec Exec Backup ? Yes , our software has support for backup files created using the Symantec Exec Backup apart from the Windows NTBackup utility. Is there any limitation on the size of the BKF file? No , you can scan and recover the backup file data of any size. I had stored my Presentation files in a BKF File but when I tried to extract them from the BKF File , I was unable to access my data. I was thrown up with an error that the Backup file has become corrupted. I used BKF REcovery Software to repair the damaged BKF file and it restored my files in no time. One of the best features that the tool has is the Range Based Scan. Using this option I was able to restore the desired files from the damaged backup file rather than wasting time on recovering the whole data.